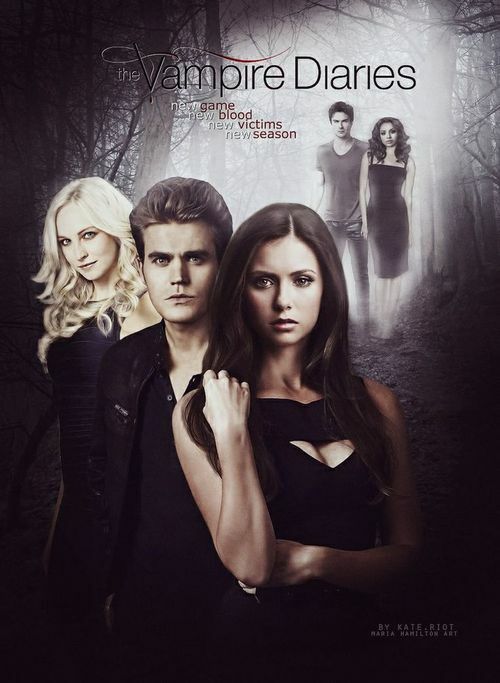 Fan-made Season 6 Poster. . Wallpaper and background images in the The Vampire Diaries TV tunjuk club tagged: photo the vampire diaries season 6 caroline stefan elena damon bonnie. This The Vampire Diaries TV tunjuk fan art might contain potret, headshot, closeup, and headshot closeup.